Mexico's Economy Minister Ildefonso Guajardo speaks to the media during a news conference at Los Pinos presidential residence in Mexico City, Mexico May 1, 2018. WASHINGTON — Negotiators for Mexico and the United States have reached agreement on about 20 topics during talks to revamp NAFTA, Mexico's economy minister said on Thursday, although he conceded that some of the thorniest issues remained unresolved. 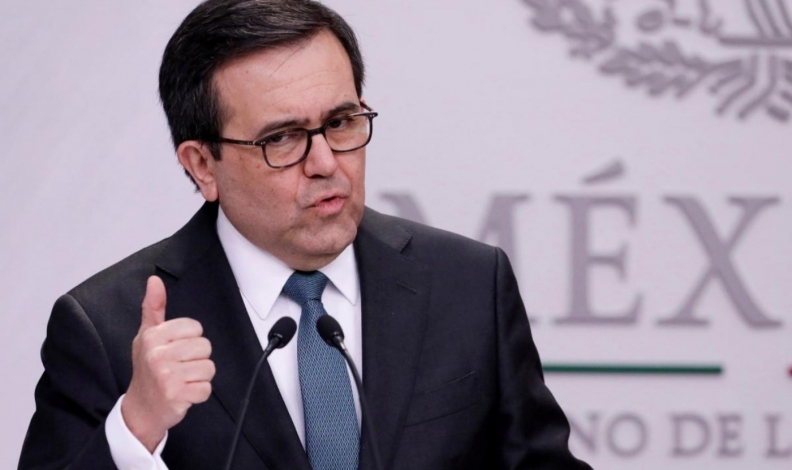 Ildefonso Guajardo said after leaving a meeting with U.S. Trade Representative Robert Lighthizer that the group had yet to discuss issues such as the "sunset clause," a provision sought by the United States under which the agreement would have to be renegotiated every five years. But he was upbeat about the group's progress. "There are a lot of things, at least 20 items, that have been worked through, and there is very good advancement in all of them," he said. Talks among Mexico, the United States and Canada to modernize the 1994 North American Free Trade Agreement have dragged on since last year, after U.S. President Donald Trump said he wanted a better deal for U.S. business and workers. Guajardo and other Mexican officials returned to Washington this week for another of bilateral talks with the United States. Hopes for a deal have risen since Mexican leftist Andres Manuel Lopez Obrador's victory in the country's July 1 presidential election. Lori Wallach, head of Public Citizen's Global Trade Watch division, a Washington based public advocacy group, said the views of the United States and Mexico were converging on NAFTA policy, in large part because Lopez Obrador's team had been backing the U.S. objective to raise wages for automotive workers. She suggested negotiators for the United States and Mexico would near an agreement in principle and say to Canada: "Come on in the pool, the water's fine. We're almost there, come make it tri-national with us.'" The U.S. and Mexican delegations will meet again on Friday morning, Guajardo said. Earlier in the day, he said he was keeping Canadian Foreign Minister Chrystia Freeland informed on the progress of discussions with the United States. Jesus Seade, Lopez Obrador's chief NAFTA negotiator, said earlier on Thursday that the meeting would cover "A to the Z and everything in between." Before entering the trade office with Guajardo, he told reporters he felt confident that negotiators would be able to reach agreements if they moved quickly, but said that auto-sector rules were a "central part" of a deal. "There won't be any deal until there's everything," he said.